Festy is the future of blockchain payments and data intelligence. The Festy platform gives consumers a method for payments, ticketing, identity, medical emergency information or simply an interface to use their favourite cryptocurrency with, through contactless cards and wristbands which are accepted at Point-of-Sale (PoS) devices. Simultaneously, the Festy platform offers merchants a more secure, efficient, and data driven PoS system. With Festy, merchants receive trustless data insights into consumer trends - something that traditional payments systems cannot provide. Powered by FESTY, an ERC-20 token, data may be exchanged peer-to-peer (P2P) between consumers and merchants. Merchants can discover deeper insights into consumer behaviour, and gain greater understanding of spending patterns, behaviours, loyalty and rewards. Festy also delivers contactless payments for retail solutions, bespoke events, or festivals; speeding up transactions, and reducing costs. Festy is the future of payments and events. By eliminating middlemen using blockchain technology, Festy offers merchants a more secure and data driven Point of Sale system. Festy provides consumers a convenient way to store payments, ticketing, identity and medical emergency information on contactless cards and wristbands. With Festy consumers can leave their wallet at home. Festy is a contactless payment and verification system that unites IoT and blockchain technology to benefit event organisers, merchants and consumers worldwide. The steady rise of music and culinary festivals taking place has presented undesirable cash flow and security implications. Festy can be the rescue remedy to these drawbacks. This solution is made possible by the ever growing use of smart devices and the advent of cryptocurrency. Smart device ownership has expanded to 4.5 billion users worldwide and is forecasted to grow even higher in the near future. This trend has brought a significant level of technological convenience that vendors are integrating into their transaction process. Companies such as Samsung and Apple have introduced payment methods onto phones and wearables for consumers while vendors are utilising tablets as point of sale systems. These inventions, while innovative in design, are tied to middlemen services which prevents transactional analytics and comes with added fees. The most well known cryptocurrency is Bitcoin as it is marked at the highest value and has appeared in mainstream media on multiple occasions. However, due to technical aspects such as network scalability and transaction time, spending Bitcoin is not suitable for quick everyday purchases. Festy gives users flexibility over what crypto or fiat currency they would like to use, thus maintaining low transaction and exchange fees. Merchants select what currencies they wish to accept and get paid in. Merchants accepting Festy will set their own terms over chargebacks and there are potentially enormous savings to be made compared to the crippling fees from existing payment solutions. Users top-up their Festy “wallet” with cash, card or crypto using the Festy Pay app. Consumers and merchants can withdraw to cash using a Festy ATM at any time. In Ireland alone, with a population of 4.4 million, there are upwards of three million VISA contactless payments (around 188 million transactions worldwide) per week. As an incentive to increase consumer adoption, there was no fee for the launch of VISA contactless payments which changed in 2017. There are currently 20,000 merchants accepting contactless payments in Ireland and this number is continuously growing. The convenience has shown increases in sales volume by upwards of 10%. This presents a valuable use case example that novel technology can quickly become adopted by the mainstream. Blockchain brings this innovation to the fore in terms of technology, privacy and security. Unlike Visa and other financial companies, Festy does not store consumer data. With zero-knowledge proof people own their own data and they can choose to opt-in. In the current social, political and economic climate this is a huge selling point as this protects the consumer against “surgical taxation” that imposes a tax on people for poor lifestyle choices. With Festy people will always benefit from the very basis of sharing their data. Data is valuable but this profit does not currently trickle down to the consumer. Festy aims to empower and protect people. Research & Development with UK welfare charity. Initial demo & soft launch. Ethereum Devcon 3 partnership and smart ticketing MVP. 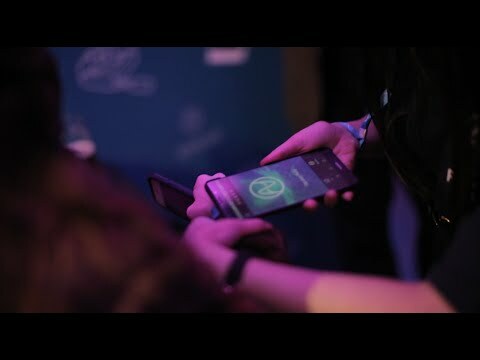 Point of Sale and Consumer android app launch at SXSW. Platform demo at Korea Blockchain Week. Official Ethereum Foundation's Devcon 4 partners.